Pocket rocket is recorded based on the movement of app. People are getting interested on exercise apps and there are a lot of them these days but the Pocket Rocket launches app that are different from apps of other sports differentiators. Using devices with GPS and accelerometer, it measures running distance, speed, and time accurately. Pocket Rocket works like the other apps but it works better in recording daily activities and routines. How long can you remember places you went to like the roads? What is your favorite activity in the landscape? 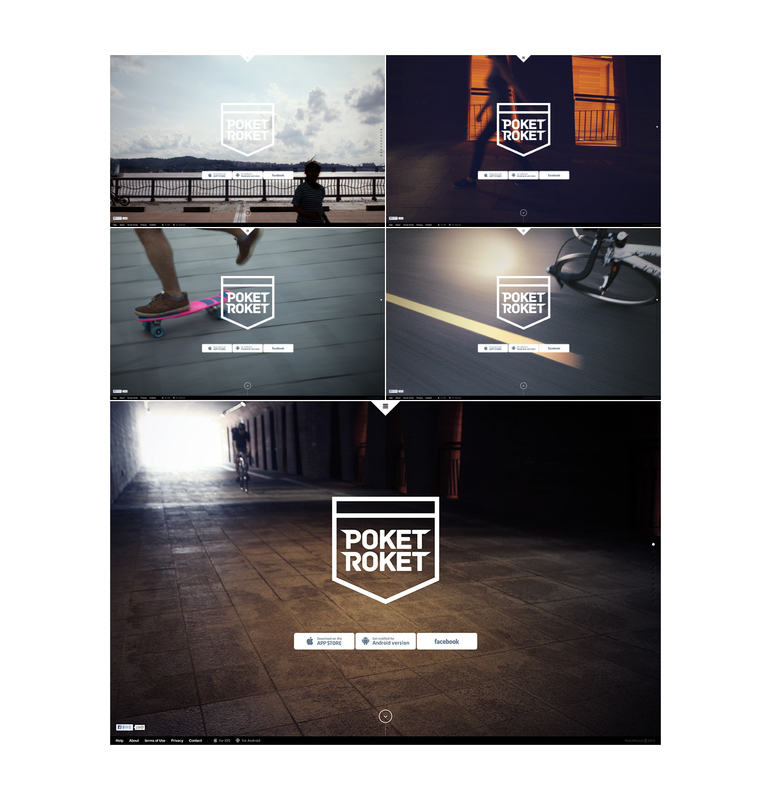 - Daily Record I based Pocket Rocket to the concept of micro-sites to record things naturally. The symbolic meaning is that the word normal life by taking advantage of the timeline. I designed dawn, mountain behind town, lazy afternoon, the Hangang, the autumn sky , after work , holiday parks near the plain and surrounding landscape. Pocket rocket is recorded based on the movement of app. People are getting interested on exercise apps and there are a lot of them these days but the Pocket Rocket launches app that are different from apps of other sports differentiators. Using devices with GPS and accelerometer, it measures running distance, speed, and time accurately. Pocket Rocket works like the other apps but it works better in recording daily activities and routines. How long can you remember places you went to like the roads? What is your favorite activity in the landscape? I based Pocket Rocket to the concept of micro-sites to record things naturally. The symbolic meaning is that the word normal life by taking advantage of the timeline. I designed dawn, mountain behind town, lazy afternoon, the Hangang, the autumn sky , after work , holiday parks near the plain and surrounding landscape.